We are offering Rice Length Grader to our clients. With marvelous specialization in this field, we are manufacturing and supplying a qualitative collection of Rice Grader Machine. 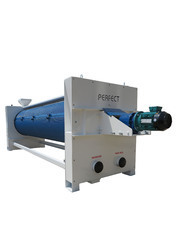 - Used for dividing milled rice into different classes. - Rice grader used for precise grading. - Provided with three cylinder. Input capacity: 10 Kg/Hr Milled Rice/Operation. Ambala Agro Machineries Private Ltd. Specially designed to suit grading of hard solids with uneven size and shape using gradient Rotary Principle, made of Mild Steel or Stainless steel depending on end use, it is flexible to screen different sizes within the range for Soya protein Products. 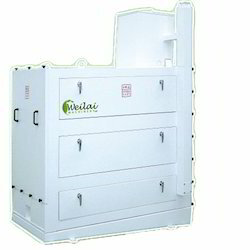 - This machine adopt multilayer sifting. - It has large sifting area, long sifting route, the material in up-sieve and downsieve both. - The sieve frame is drawer-type structure, easy to change and clean. - The triangular clean block is high flexibility, anti-abrasion, ageing resistant, not easy to plug. We hold expertise in offering standard quality range of Rice Multi Grader. This Rice Multi Grader is designed for separating rice into four grades that are super, common, big broken and small broken. To attain the maximum satisfaction of customers, we offer this product at most reasonable rate. It is mainly used in the grading of rice as well as grading and sifting of other particles in the rice processing process. It features characteristics of small size, light weight, simple structure, low noise, stable operation, good property, long use duration, simple operation and convenient maintenance etc. This machine is to take out small grains from rice.